Become a master of your iPhone 5s with this in-depth eBook that’s packed with tips and tutorials. Written by best-selling author T A Rudderham, and brought to you by the expert team at iOS Guides, this eBook is suitable for both beginners and intermediate users alike. You’ll learn the very basics such as syncing with iTunes and setting up emails, through to advanced tips such tweaking photos and seeing your frequent locations. Also included are detailed tutorials related to the latest technologies included with iPhone 5s. You’ll discover how to film and edit slow motion videos, capture multiple photos using burst mode and how to add and use a fingerprint. Each chapter is color-coded, so you can easily navigate your way from section to section. 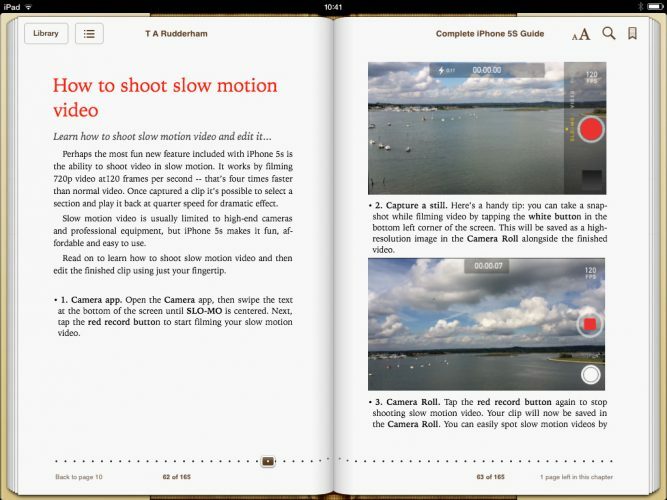 The book also contains hundreds of images and screenshots to help you learn quicker and more efficiently. This is the perfect guide for those looking for tips, secrets and tuition for their new iPhone 5s. Whether you’re reading on a Kindle, iPhone, Android or other eBook reader, you’ll find a wealth of knowledge here that’s perfect for both beginner and intermediate users alike.